Weekly poll #10 : Alone or accompanied, how do you prefer to shoot street photography ? Some prefer to hit the street alone to concentrate better, some need to chat and compete. Are you the old lonesome shooter or the social one? 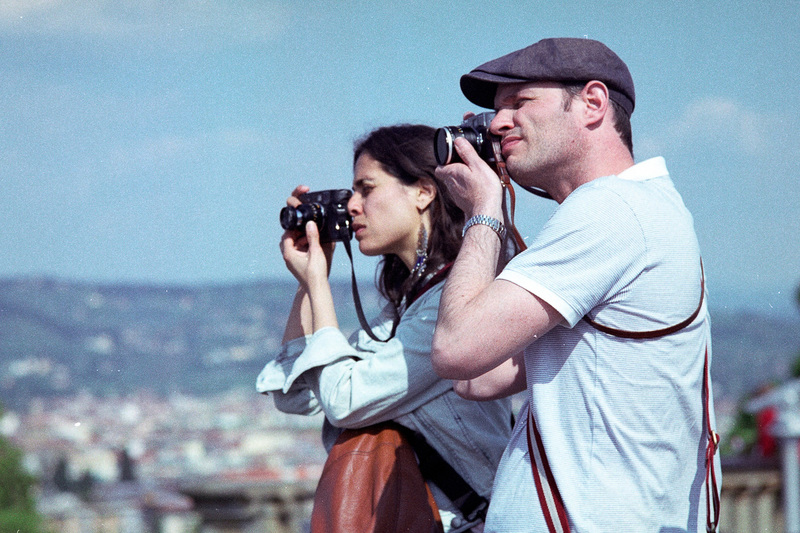 Natalia and I shooting in Florence in 2010. Picture by our friend Miguel Teixeira from Lisbon during a RFF forum meeting. As for last week’s poll, “How many days a week do you shoot street photography” (150 voters), it looks like most of us are casual and weekend shooters (67% of respondents shoot one or two days a week). Unluckily, there ain’t many pro street photographers job openings out there. 2 blogs ;) ? Cheers! I like to walk alone. It's relaxing. I like go out to shoot with my wife, but sometimes I do it alone. I did a photography workshop in Athens recently..A non photography friend came along and walked around with me each day..I thought I would value his company but actually I couldn't 'zone out' and be creative at all..next time be brave and go alone.